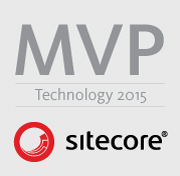 By Mike Reynolds in Customization, Data, Fields, Pipeline, Render Field, Shortcodes, Sitecore on 09/07/2013 . 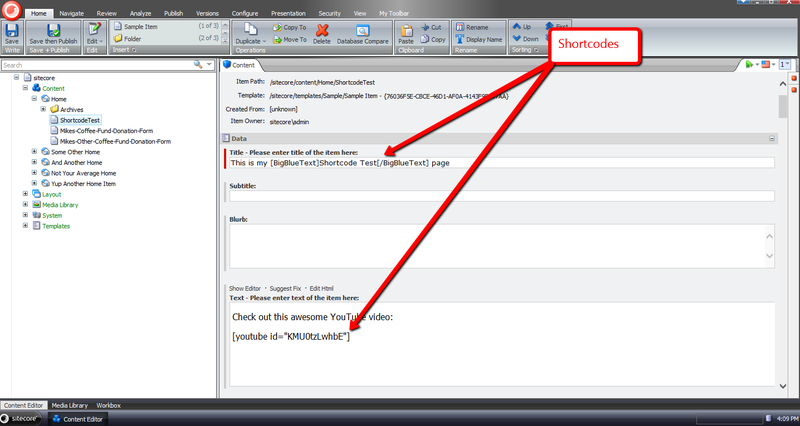 This tutorial was EXACTLY what I needed for YouTube shortcodes in Sitecore. 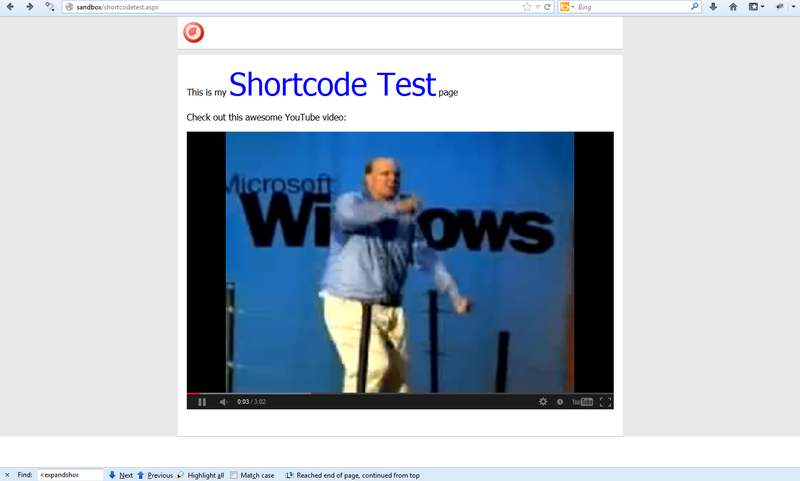 Check the ExpandYouTubeShortcodes regex code, though. Seems to have a YouTube error string in it. Perhaps your WordPress actually tried to parse your Sitecore shortcode when you pasted it into the post. Something on WP must have changed recently.